Ron Rockwell Hansen, was arrested by the FBI on Saturday and charged with attempted transfer of defense secrets to China and other crimes. Hansen, an intelligence contractor for many years after leaving DIA in 2006, was arrested at Seattle-Tacoma International Airport as he planned to travel to China. A current DIA official working with the FBI helped identify Hansen's alleged spying activities. The arrest marked the end of a lengthy counterspy investigation that began in 2014 and included attempts by Hansen to become a false double agent for the DIA—in spy parlance a deceptive triple agent who pretends to be a recruited Chinese spy and who then shifted loyalty to American intelligence but in reality supplies secrets to Beijing. Hansen is the third former U.S. intelligence charged with spying for China in recent months and reflects stepped up counterintelligence operations against China. Last week, the espionage trial of former CIA officer Kevin Mallory began in Alexandria, Va. Mallory is charged with using a special mobile device to send classified documents via secure messages to Chinese intelligence. Another former CIA officer, Jerry Chun Shing Lee, was arrested in January on spy charges and government officials believe he may have compromised the CIA's recruited agent network in China in 2010. Salt Lake City FBI Special Agent in Charge Eric Barnhart said in a statement: "The allegations in this complaint are grave as it appears Mr. Hansen engaged in behavior that betrayed his oath and his country." "This case drives home the troubling reality of insider threats and that current and former clearance holders will be targeted by our adversaries," Barnhart said. The 41-page FBI complaint outlines Hansen's career as a Mandarin-speaking former Army warrant officer who worked for DIA from 2000 to 2006 with experience in both electronic intelligence and human spying operations. He held a top-secret security clearance. Covert searches of his luggage by Customs officials during several trips to China revealed that he carried two Chinese cell phones made by Xanda and Huawei—Chinese telecommunications companies. The phones were used to communicate with Chinese intelligence services including Ministry of State Security (MSS) officers. The MSS is China's civilian spy agency. One of the Chinese phones was configured to communicate with a Ministry of State Security spy handler identified in court papers as an MSS officer named Max Tong. The FBI said Hansen first met Tong in March 2011 and communicated by email and cell phone with him for years. In July 2012, Hansen wrote Tong telling him that he was seeking to rejoin DIA to gain access to defense secrets, but in April 2013 was rejected by the agency. During a meeting with FBI agents, Hansen said the Chinese gave him a Xanda cell phone to communicate directly with a Chinese MSS officer named Martin Chen. Searches of his luggage revealed a Xanda phone in July 2014 and December 2015 had been used to call a Chinese intelligence officer, and in 2014, a Nokia "PRC brand cell phone" was found along with his U.S. smart phone. Then during a 2017 airport search, Hansen was found in possession of a Huawei smart phone that was searched and found to have been used to communicate with Chen—one of the MSS handlers. "Hansen's use of multiple cell phones to communicate covertly with intelligence officers is consistent with case officer tradecraft training Hansen received from DIA to communicate securely with human sources," the FBI said. Disclosure of the use of Chinese telecommunications gear for spy communications comes as the Trump administration is debating whether to lift sanctions against the Chinese telecommunications firm ZTE as part of trade negotiations. ZTE and Huawei have been linked by U.S. intelligence agencies to electronic spying by Beijing. The Pentagon has banned the use of both companies' cell phones over the spying concerns. Hansen, without knowing he was under investigation, told the FBI in meetings throughout 2015 that he had numerous encounters with Chinese intelligence officers and that the spy services had targeted him for recruitment. Since at least 2014 he began meeting two Chinese MSS agents known by the names David and Martin who offered to pay him $30,000 annually for "consulting services." He was tasked with attending tech conferences and conducting product research. The Chinese asked him to contact former DIA and Pentagon officials and intercepted phone calls by the FBI showed that he began doing so in 2015 and 2016. The contacts included two DIA case officers in Texas and Georgia. The FBI complaint revealed that Hansen tried on several occasions to penetrate U.S. military intelligence agencies on behalf of China. The FBI said Hansen approached Army intelligence in February 2012 and "offered to work as a double agent against [Chinese intelligence services]," and three months later applied to rejoin DIA. Hansen in mid-2013 suggested that DIA operate him as a source for a spy program targeting China, and in February 2015, he contacted the FBI and offered to work as a double agent against Chinese intelligence. He also in 2015 contacted a member of the House Permanent Select Committee on Intelligence and asked to work as the member's staff member for intelligence issues. The most recent bid to penetrate DIA took place in May 2016 when Hansen contacted a DIA case officer and encouraged the officer to use him as a source against China. Hanson also carried tens of thousands of dollars in cash after visits to China, in one case being stopped by authorities for failing to report transfers over $10,000. The FBI used one DIA official as a confidential informant during its investigation and between 2016 and 2018 Hanson revealed ongoing contacts with the MSS and that he had "performed consulting work for the MSS." According to the FBI, Hansen told the DIA official that China would pay up to $200,000 for the U.S. military's "China ops plan" for military intervention against China. He also sold computer forensic products to the Chinese and they overpaid him for the goods in cash. The Chinese were seeking information from Hansen about the views of various politicians toward China. Chinese intelligence as of March 2018 was also seeking secret information on U.S. positions on North Korea, South Korea, and China. The DIA official acting as an FBI informant was also asked by Hansen to provide a briefing for Chinese intelligence officers in Mexico. Hansen owned a cloud computing company called NuveStack. Hansen also founded the American and Chinese Friendship Promotion Society in 1981 with the goal of advancing "friendship and understanding." The "American and Chinese Friendship Promotion Society Business Group provided a method through which Hansen attempted to generate revenue by providing business services in the PRC," the FBI document says. After retiring from DIA, Hansen worked for two companies called H-11 Digital Forensics Co. LLC and H-11 Digital Forensics Services. Hansen was charged with 15 counts including attempted transfer of defense information to China, currency violations, and smuggling. Hansen's LinkedIn page describes him as a "China expert" who first traveled to China in 1981 and took over 175 visits to China. "I have an extensive network of Chinese government, business, military, and academic contacts at the national, provincial and local levels," Hansen stated. His LinkedIn page describes him as an accomplished business executive and "serial entrepreneur" who is chairman of NuveStack, CEO of Ionic M, and director of Broadway Capital. 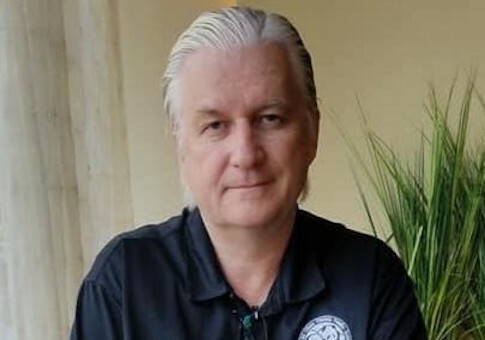 "I am passionate about visionary and disruptive technology to include Cloud IT, Platform as a Service (PaaS) solutions, cloud infrastructure, transformative data centers, health & ionic minerals, waste to energy technologies, clean tech, green tech, lithium battery technology, electric vehicles, clean water projects, agriculture, digital forensics, aggregates and rock products, and education," the page states. "Choose a better path… Change your life… Change the world…," he wrote. The FBI complaint stated that a search of Hansen's financial records showed he reported large losses, including $1.1 million in business losses for the 2014 tax year. Hansen is scheduled to appear the U.S. District Court in Seattle on Monday.